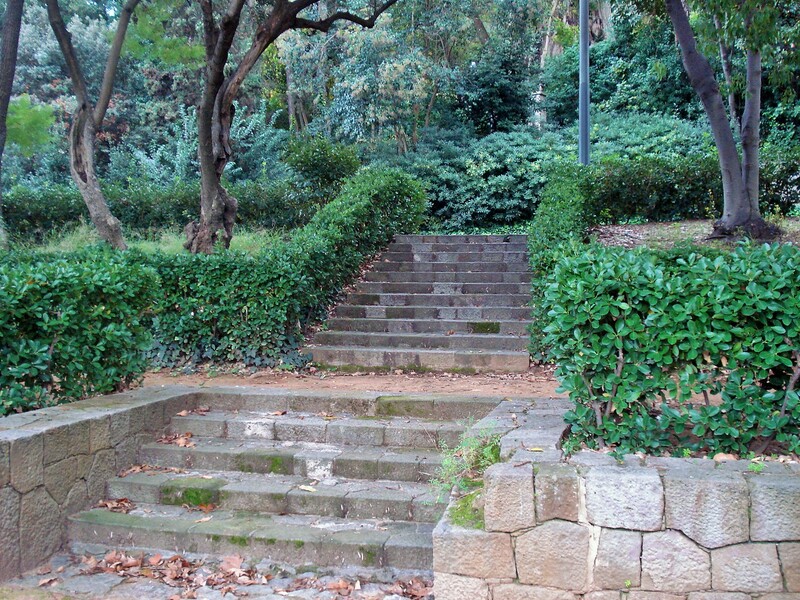 Montjuic is a majestic hill in Barcelona overlooking the port, west of the center. 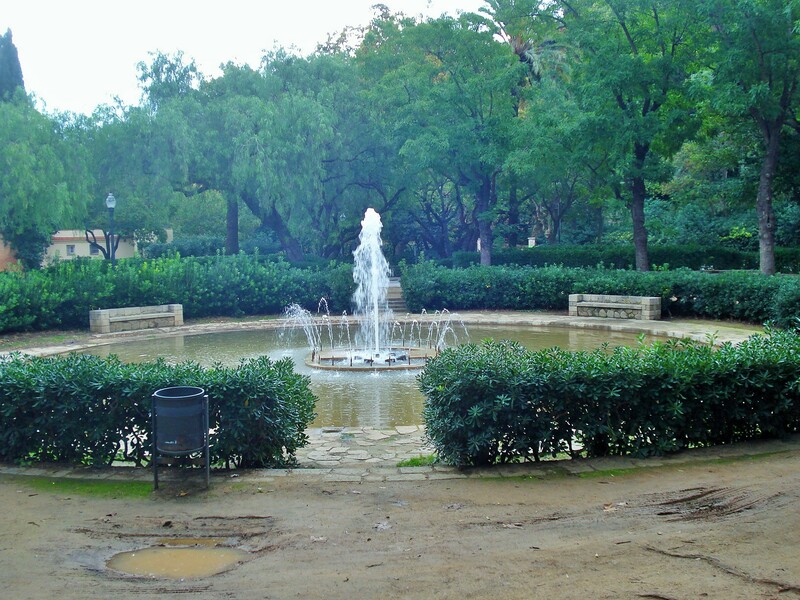 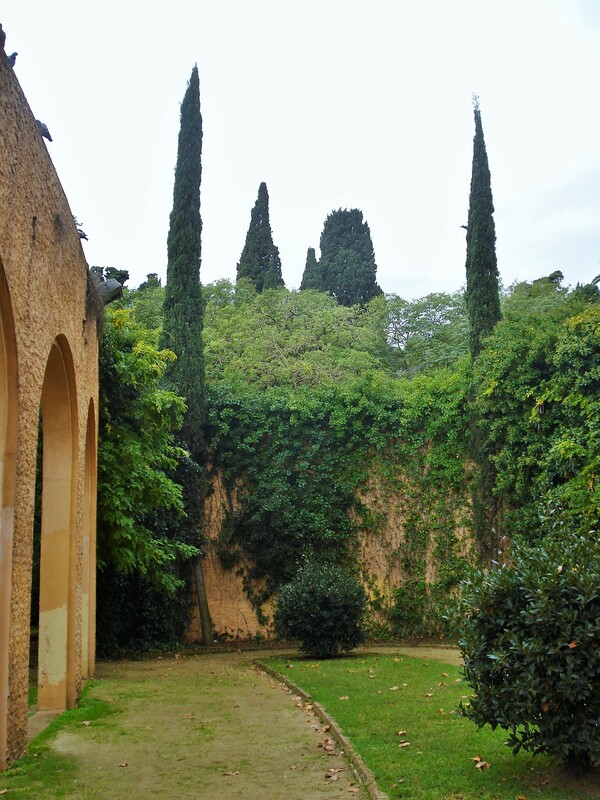 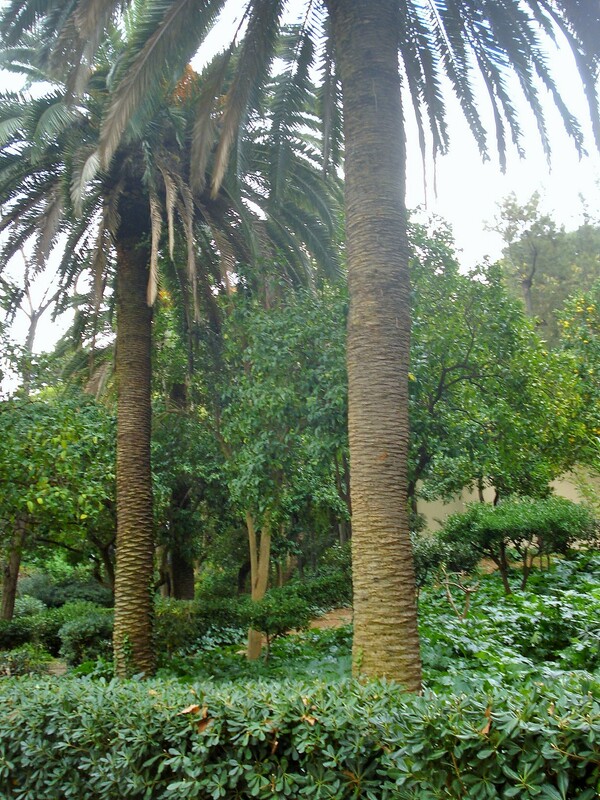 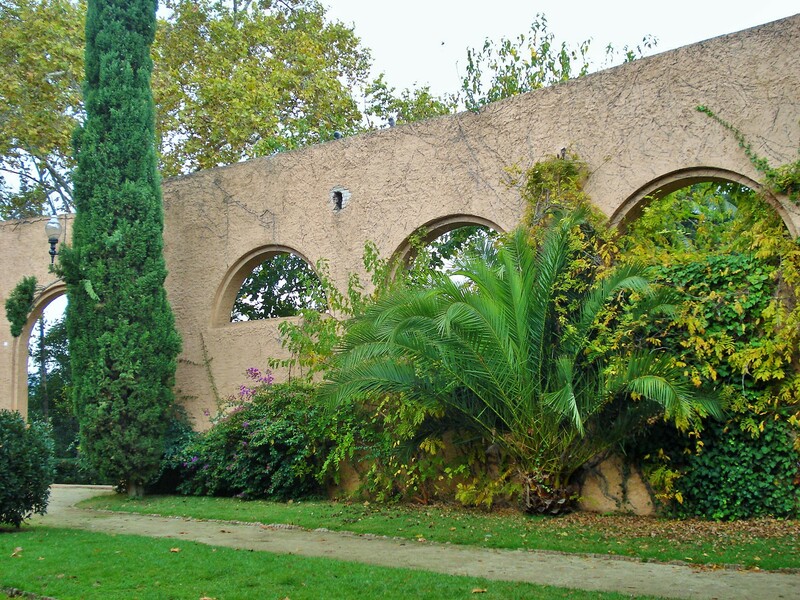 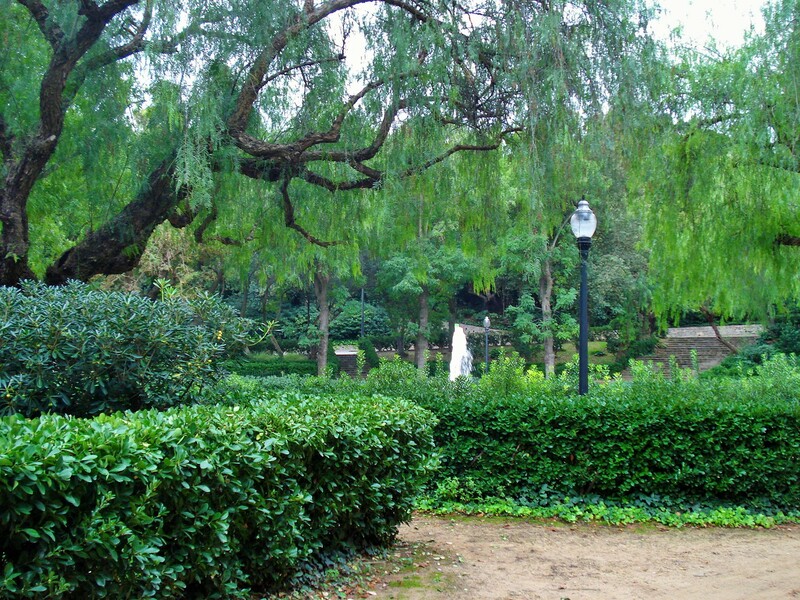 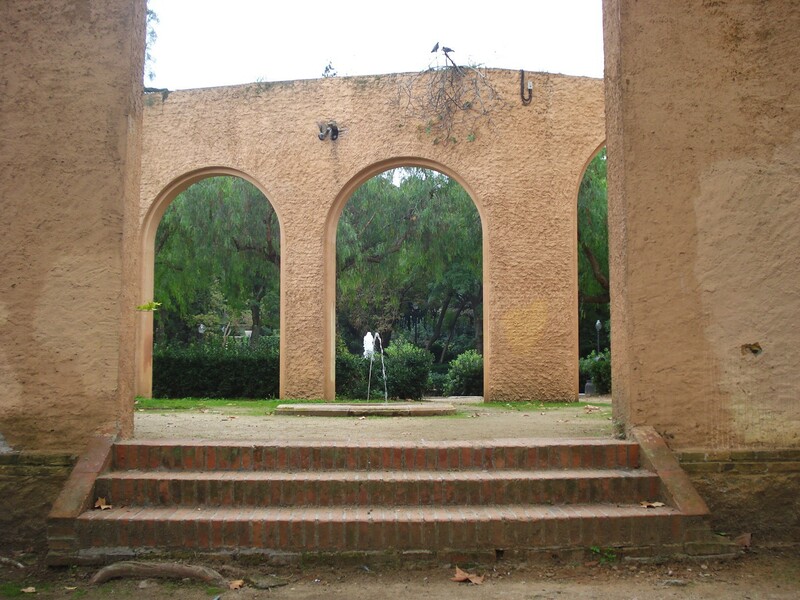 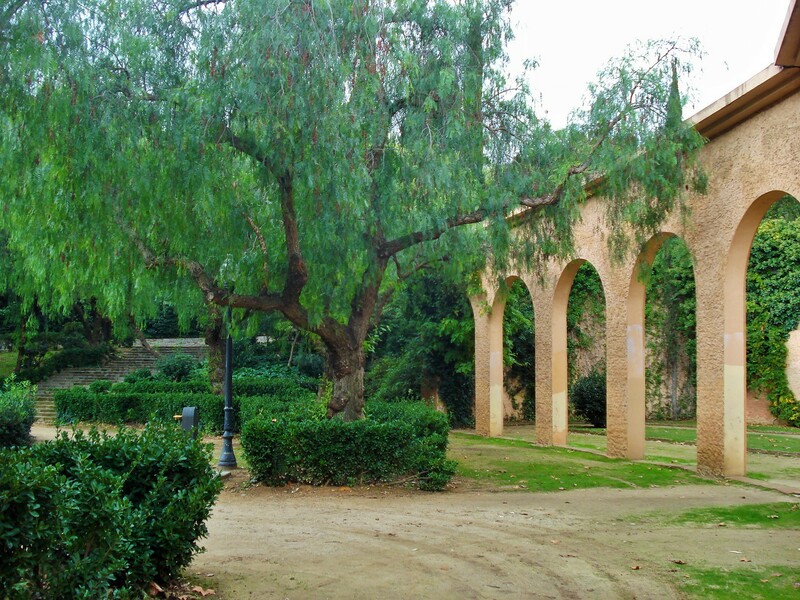 The entire hill is a series of parks, gardens, museums, and other monuments, as it was developed first for the 1929 International Exhibition held in Barcelona Spain, then again for the 1992 Olympics. 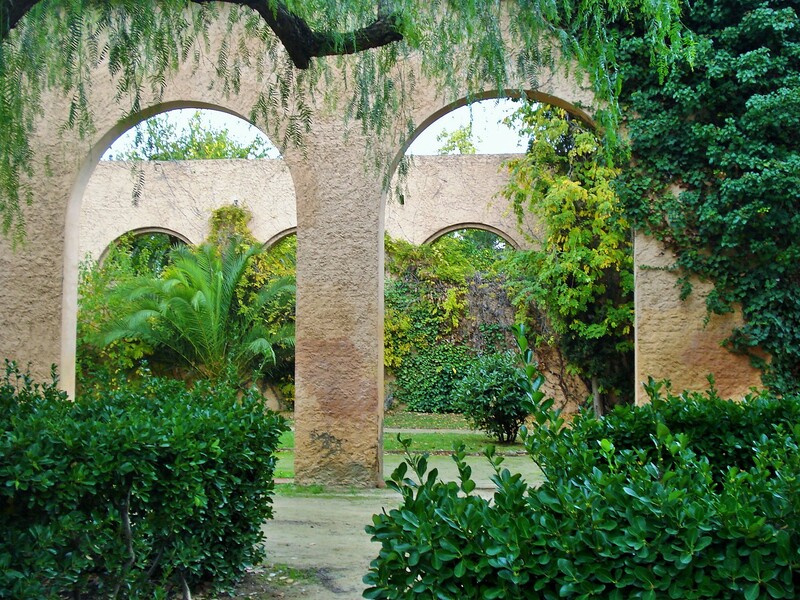 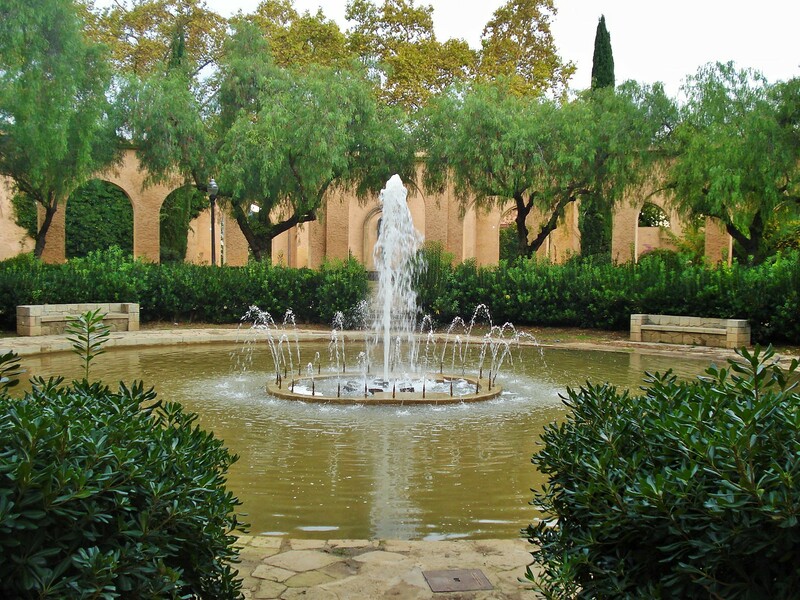 It is home to the Olympic ring, Arata Izosaki’s sports palace, the Catalan Art museum, the Spanish village, the Barcelona Botanical Gardens, the Archaeology Museum, the Greek Theater, the Mies van der Rohe Pavillion, the Juan Miro Foundation, the Laribal Gardens, just to name a few. 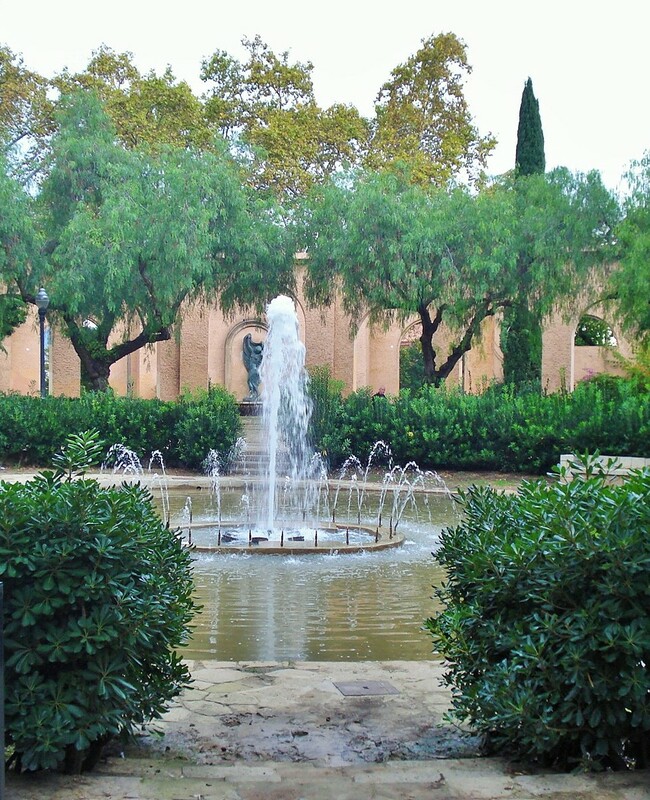 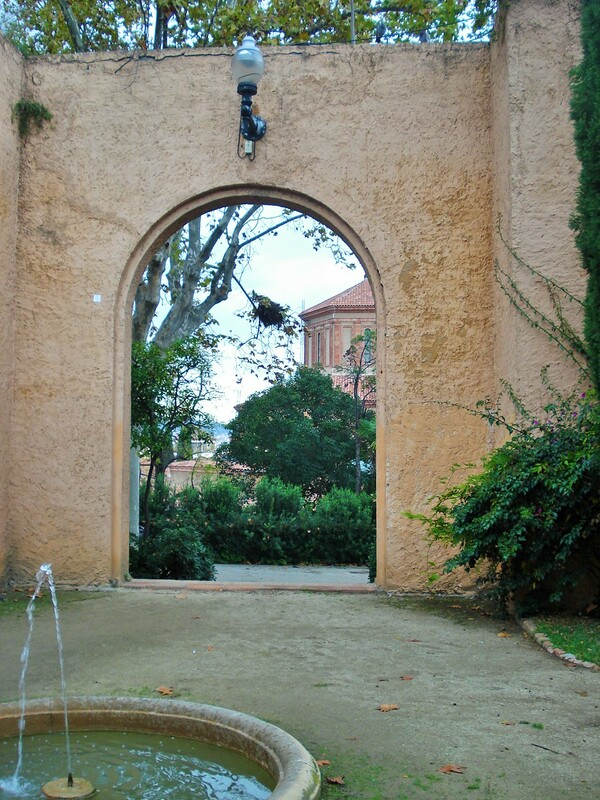 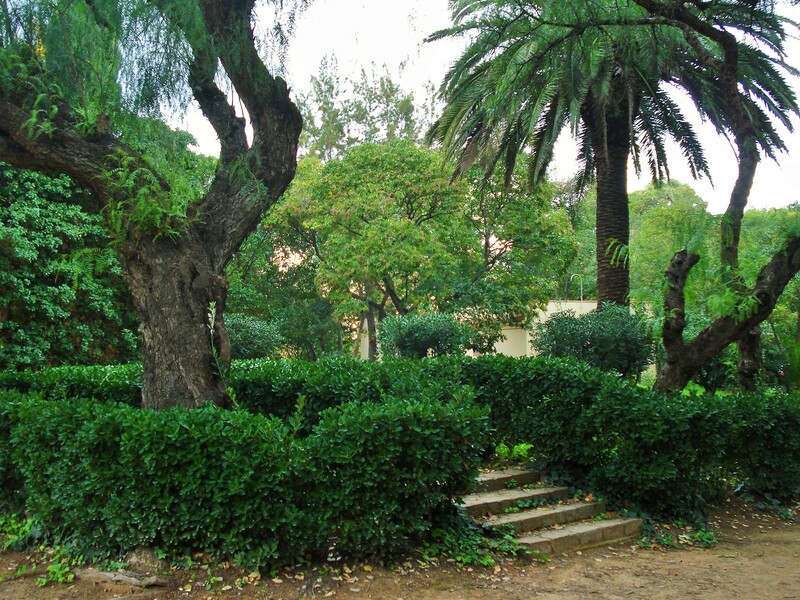 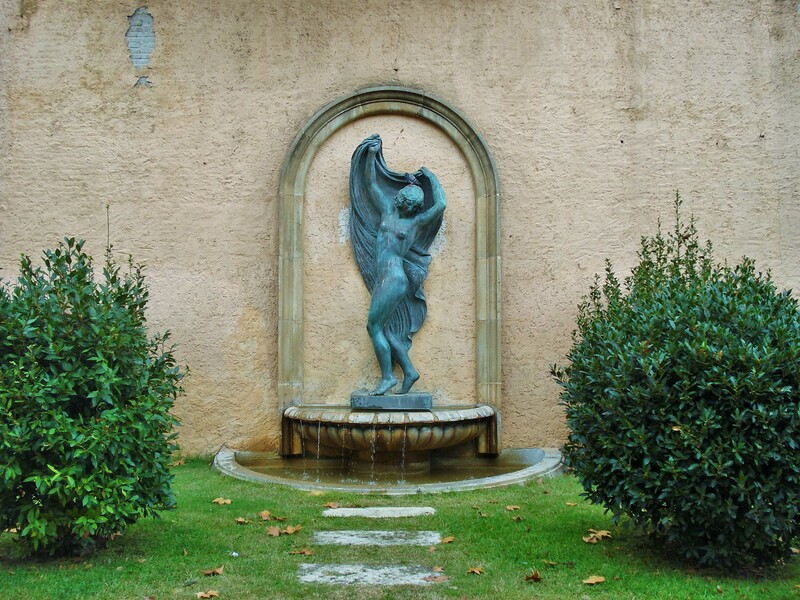 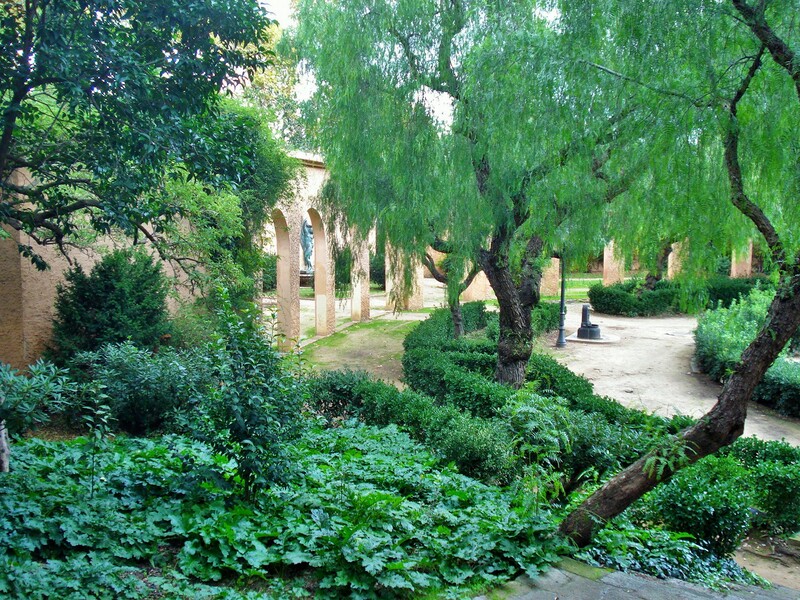 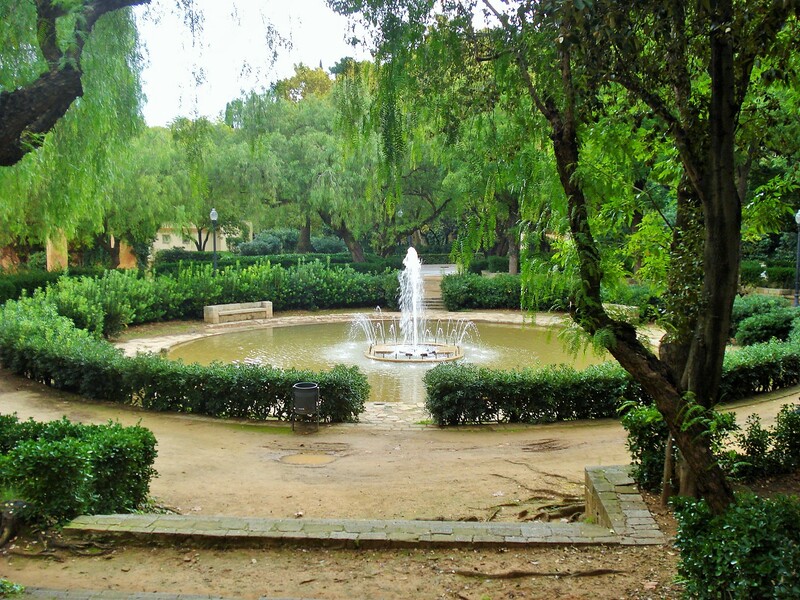 The Archaeology Museum has small gardens laid out around a fountain. 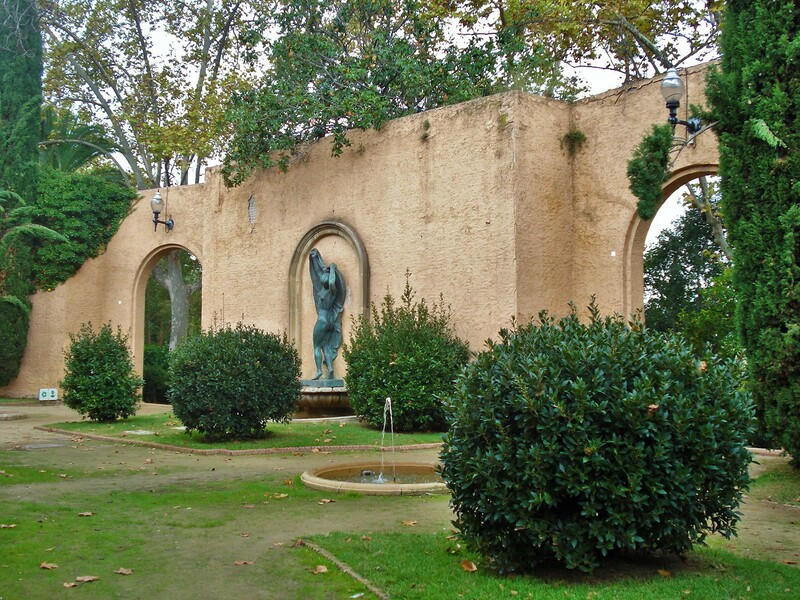 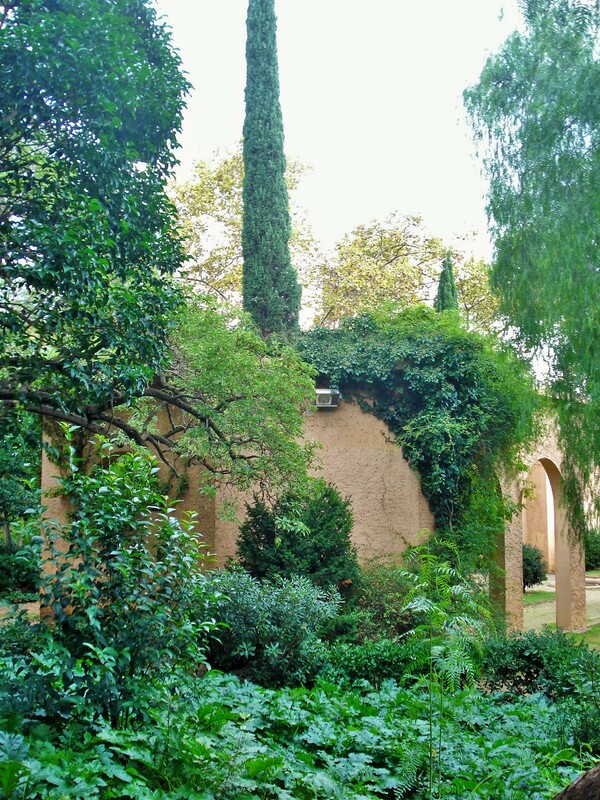 The arches and statuary in the back, and the tall cypresses give it the feel of an Italian garden.